Yamaha Motor Launches Stylish and Sporty GDR155 Scooter ASEAN Strategic Model Aiming to Build New Sporty Scooter Category - News Releases | Yamaha Motor Co., Ltd.
IWATA, January 13, 2017—Yamaha Motor Co., Ltd. (Tokyo: 7272) announced today that it will launch the GDR155, a new scooter blending a stylish form and sporty ride, which has been developed as a strategic model for ASEAN markets. The introduction of the new model aims to create in the ASEAN region a sporty scooter category, which will become a stepping stone to the big scooter class. Launched in Vietnam as the NVX and in Thailand as the AEROX in December 2016, the GDR155 will subsequently be introduced in Indonesia and other ASEAN markets. Development of the GDR155 targeted upwardly-mobile 25 to 30-year-old males with the intention of being crowned the "ASEAN Best Sporty Scooter." 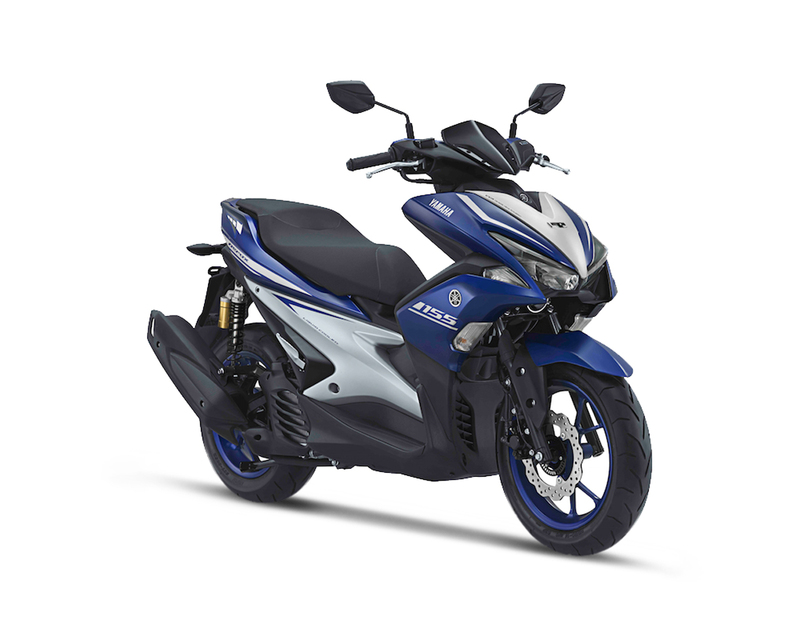 BLUE CORE engine incorporates a Smart Motor Generator - a Yamaha first - which combines startup with power generation functionality to deliver quieter starting while also reducing power generation loss. The main features of the GDR155 include 1) a 155cc liquid-cooled BLUE CORE engine (with VVA*1) providing superior acceleration and fuel efficiency, 2) a lightweight 116kg body for sporty handling, and 3) a new design exuding both high maneuverability and a luxury feel. In addition to the standard model GDR155, the R version, featuring rear suspension with sub-tank and wave-shaped front disks, and the A Version, with Stop & Start System*2, Smart Key, and ABS, are also available*3. The GDR155 will be manufactured in plants in Vietnam, Thailand, and Indonesia, and a rich variety of color and graphic variations suited to the tastes of customers in each country will be offered.